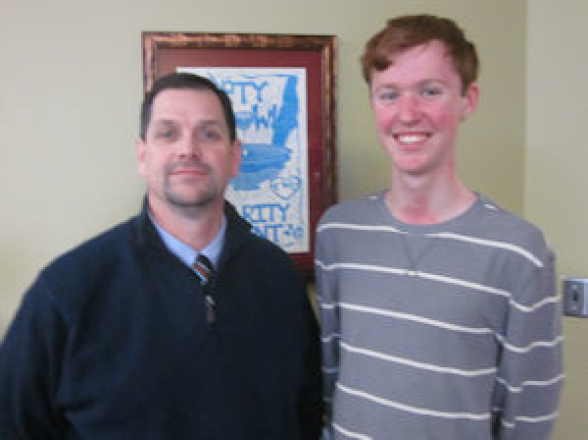 The school district has had a junior and senior both score a perfect 36 on the ACT test. 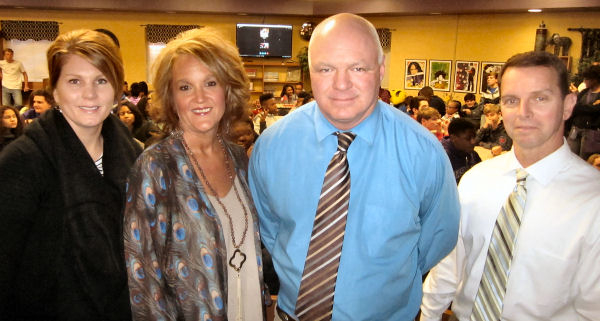 DeSoto County Schools has never had two students score a perfect score in the same year. 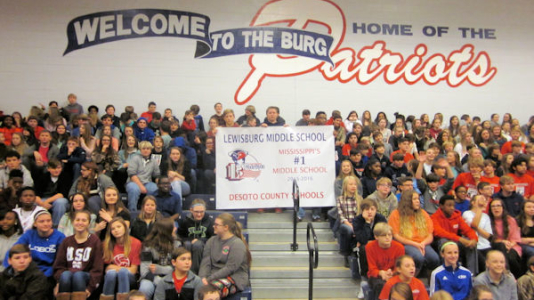 Lewisburg High Principal Chris Fleming said our district may even have three. He is waiting on scores to return and is hoping to add to the new record. The students are Addison Green, an 11th grade student at Lewisburg High School and Patrick Nelsen, a senior at DeSoto Central High. 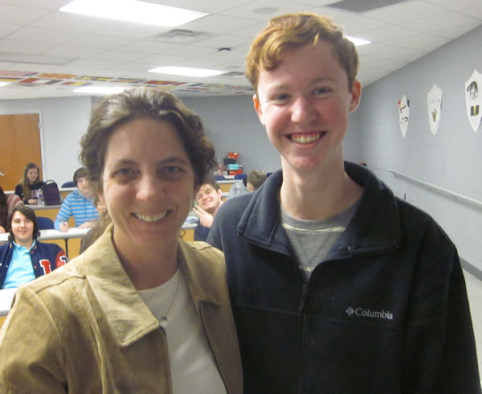 It is rare for a student to get every question correct on the ACT. A study by prepscholar.com found that of the nearly two million high school seniors who took the ACT test nationwide in 2015, only 0.083 percent got perfect scores. The comprehensive test consists of math, English, reading and science. 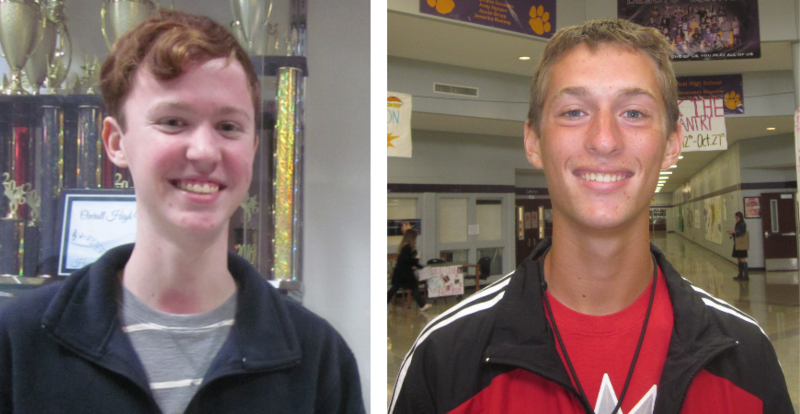 Both students said they studied hard and prepped by taking sample tests in the PSAT classes. 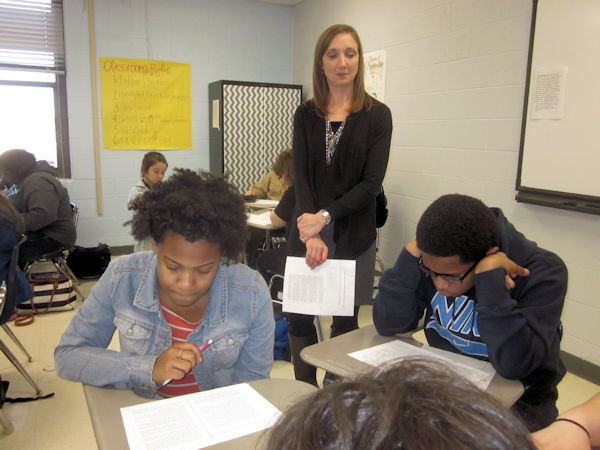 The PSAT classes are taught at all eight DCS high schools. Students prepare to take the pre-SAT, SAT and ACT exams. The program was launched with a grant from the Homer Skelton Foundation which provided laptops for the PSAT students and teachers. The technology component plus three strong teachers have helped students do their best on standardized tests. Both students have attended DeSoto County Schools since kindergarten and both want to pursue engineering. Another common trait—they love their band programs. 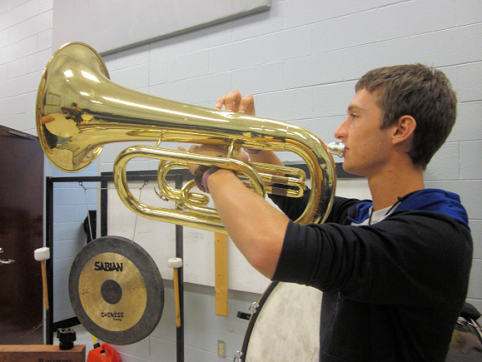 Addison plays the snare drum and other percussion instruments, and Patrick plays the euphonium (baby tuba) and the trombone. 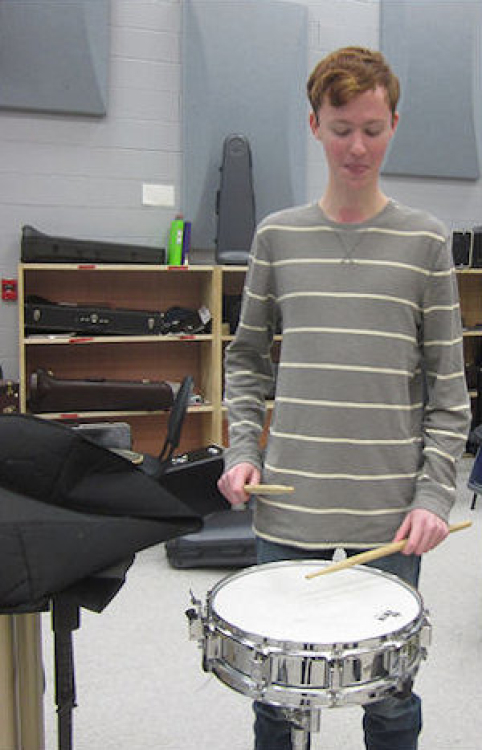 Patrick says he spends several hours a day practicing and pursues band camps in summer. Both students are getting inquiries from the top schools in the nation, but because they want to pursue engineering, they are considering Mississippi State University. Well-rounded, articulate, musical, humble, and scholarly are accurate descriptions of both young men. They have taken advantage of every tough course offered and have become experts in all disciplines. DeSoto, Booneville and Stone County school districts are three of 433 school districts in the U.S. and Canada being honored by the College Board with placement on the 7th Annual AP® District Honor Roll. To be included on the 7th Annual Honor Roll, each district had to increase the number of students participating in AP while also increasing or maintaining the number of students earning AP Exam scores of 3 or higher. Reaching these goals shows that this district is successfully identifying motivated, academically prepared students who are ready for AP. The Mississippi Department of Education implemented an AP Initiative in 2015-16 to increase statewide participation in AP courses. The effort includes raising awareness about AP benefits, increasing access to AP opportunities and providing AP-focused professional development for teachers, principals and counselors. “We have an amazing group of teachers, students, and administrators, and this honor reflects their commitment to rigorous coursework. 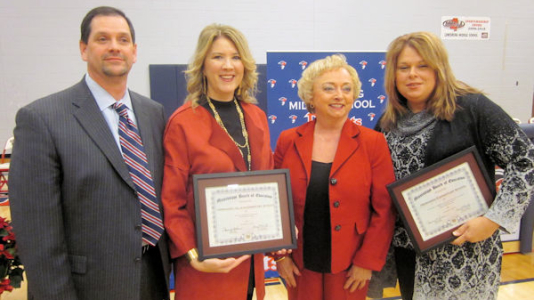 We want our students to be able to compete at the highest level, and this national award is a testament to the hard work of our teachers and students,” said Supt. Cory Uselton. 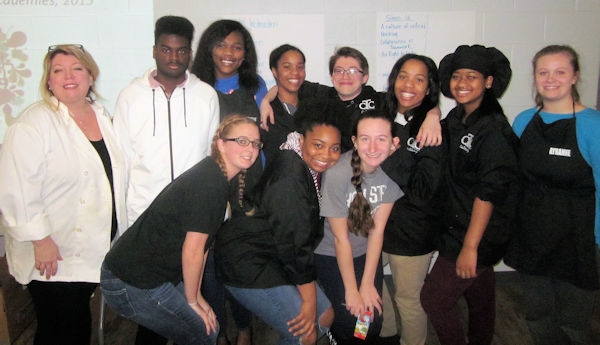 It was “education day” for Leadership DeSoto, a program sponsored by the DeSoto County Economic Development Council to identify and prepare the community's future leadership resources. 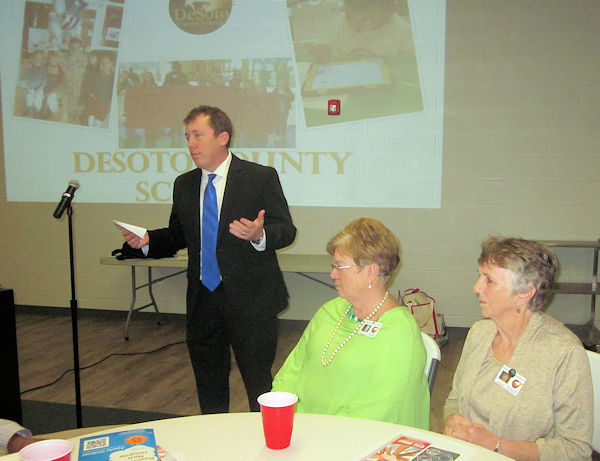 Leadership DeSoto provides participants an opportunity to learn more about the community in which they live and work and to better understand the opportunities and challenges facing DeSoto County. 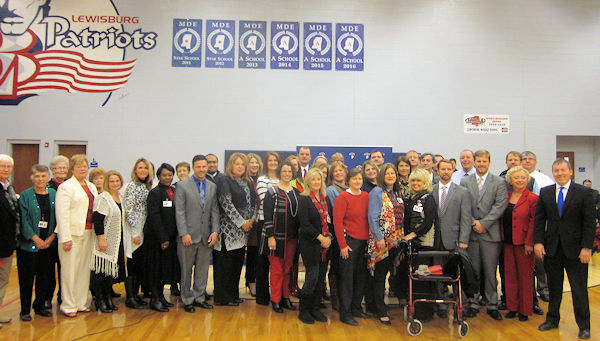 For this group of leaders, their day began taking tours of schools in DeSoto County and then coming to the Career & Technical Center—West to meet with DCS’ top administrators and tour the facility. 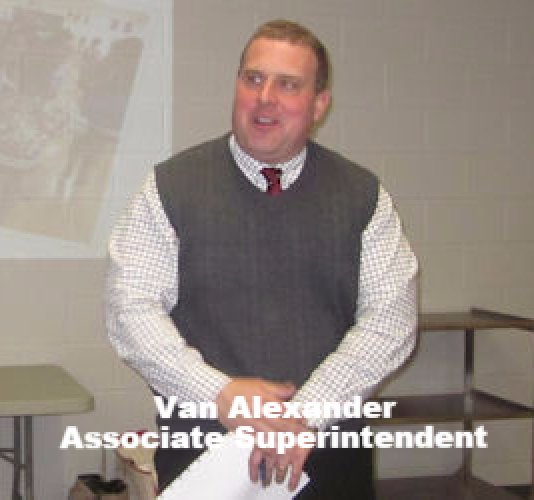 Superintendent Cory Uselton, Associate Superintendent Van Alexander and Associate Superintendent Keith Williams gave presentations discussing accomplishments and challenges. They allowed a question and answer session. 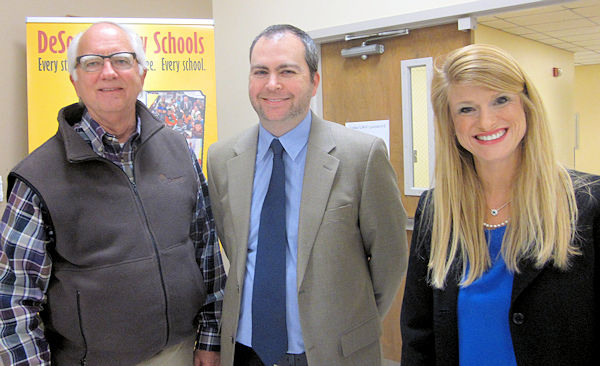 Three DCS school board members also attended the session, including Ann Jolley, Shelia Riley and Sarah Doss-Thomas. 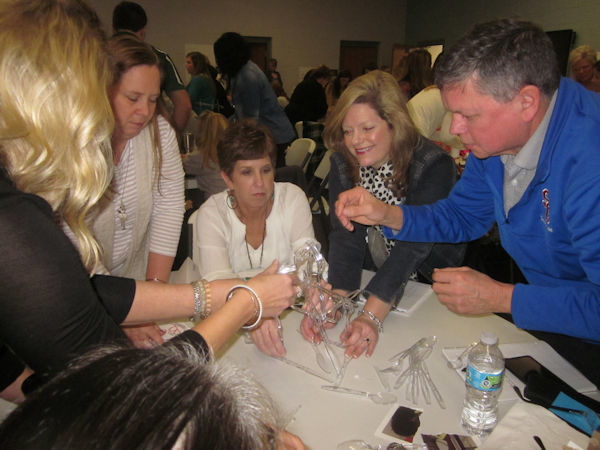 Pleasant Hill Elementary Principal Jamie Loper and Olive Branch High instructor Shannon Rawson work together with DeSoto County educators to build a tower made of plastic forks. Discovery Education came to DeSoto County Career Tech-West to train 130 DCS teachers on ways to incorporate STEM principles (Science, Technology, Engineering and Math) into their daily lesson plans. Discovery Education, a free professional development training opportunity, is part of the Discovery Channel. 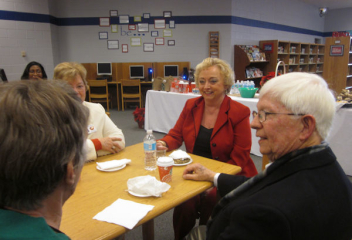 Educators from surrounding counties were also in attendance. Dr. Robert Corbin with Discovery Education talks to DCS Curriculum Coordinator Dr. Stephanie Stewart about the best ways to learn new STEM strategies. Dr. Robert Corbin, the Director of Global STEM Initiatives for Discovery Education, was the keynote speaker. He is a doctor of philosophy and a National Board Certified science teacher. “Through the STEM curricula, I will show you how to prepare students to be effective problem solvers and lifelong learners,” Dr. Corbin said. 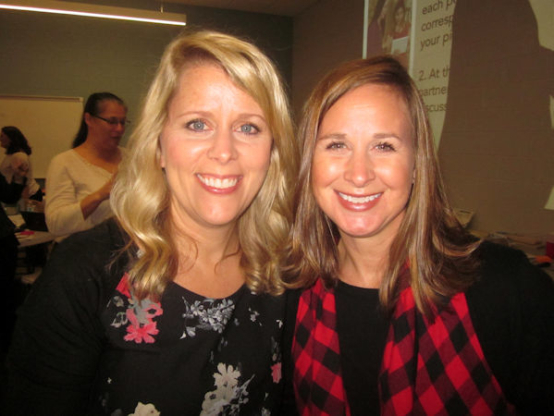 During a series of interactive sessions, teachers experienced instructional strategies that promote STEM skill building, mastered new digital tools and resources supporting STEM instruction, and prepared action steps for implementing innovative STEM instruction. The Culinary Arts Department at Career Tech-West prepared the breakfast and lunch for the training participants. 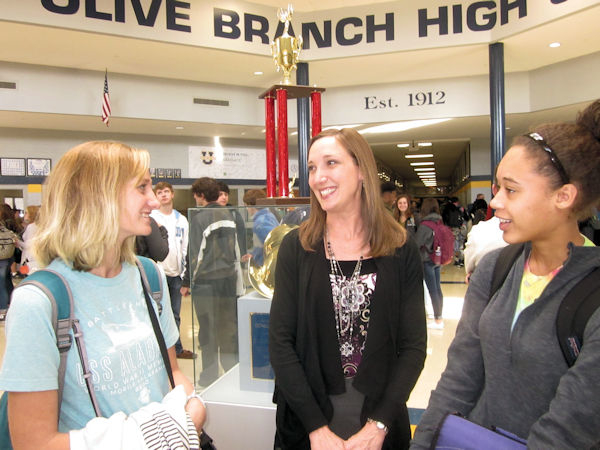 Olive Branch Elementary Teacher Xan Barth and Principal Sunnie Barkley learned how to introduce science, technology, engineering and math to young students. Teachers built towers out of plastic forks where they had to work together to deduct basic structural principles. Teams of competitive teachers strived to have the tallest tower. They were given questions and projects to cooperatively solve to learn how to teach STEM techniques to students. 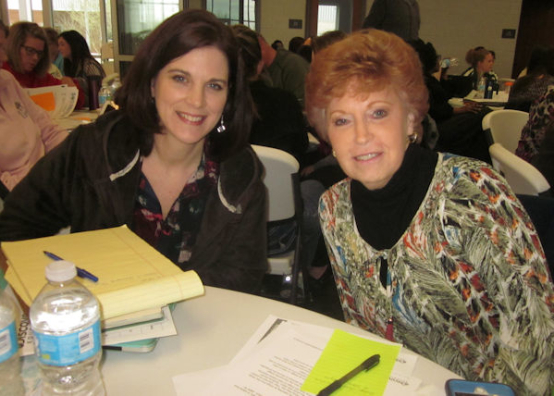 Robin Kincade, PHES, and Oma Moore, OBMS, participated in the STEM training. Curriculum Coordinator Dr. Stephanie Stewart organized the event through Discovery Education. 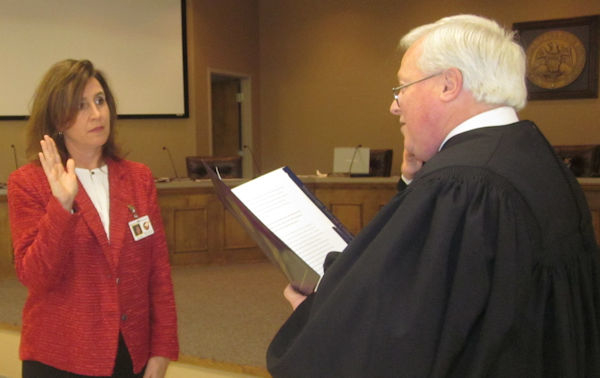 Chancery Judge Percy Lynchard administered the oath of office to new DeSoto County School District Board Member Michele Henley, and Milton Nichols was also sworn into office for another six-year term on the Board of Education before the district’s first board meeting for the year. 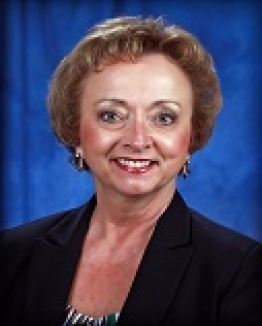 Michele Henley replaces Stephen Dodd who served as a board member for the last 22 years. He did not seek re-election. Henley represents District 2. A graduate of Horn Lake High School, Northwest Mississippi Community College and the University of Mississippi with a Bachelor of Arts degree in special education, Henley understands the demands of a classroom teacher since she worked as a special needs educator. Currently, she is president and CEO of Team Mobile Industrial Cleaning, Inc., an industrial cleaning company she and her husband have owned for 20 years. 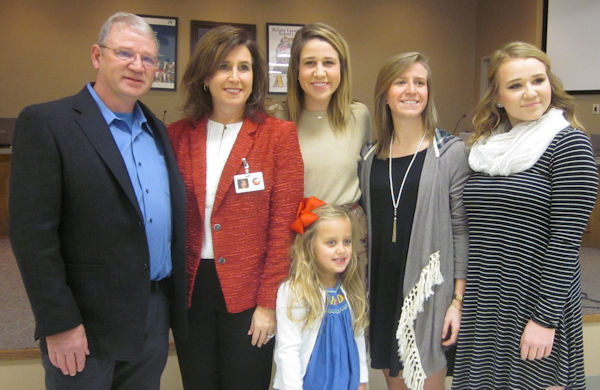 Milton Nichols is returning as the District 1 representative on the school board. 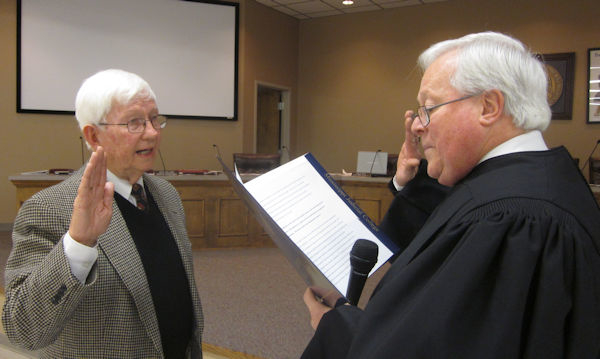 For 20 years, he served as the mayor of Olive Branch. 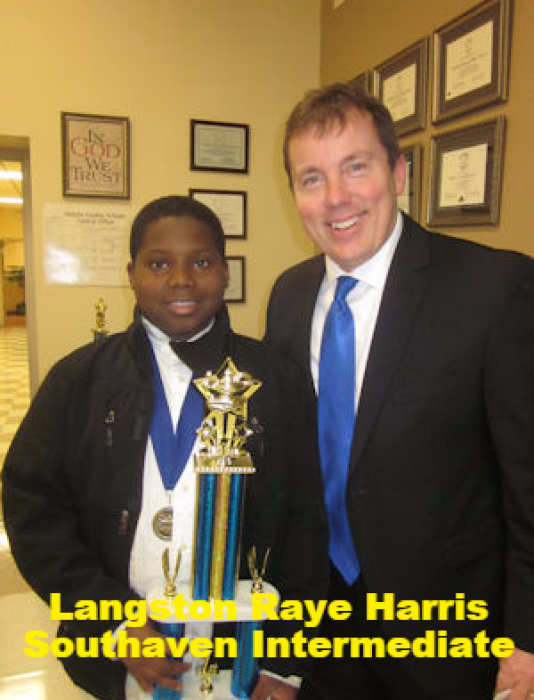 He is a member of the Olive Branch Rotary Club, Olive Branch Chamber of Commerce, DeSoto County Economic Development Council and Olive Branch Lions Club. 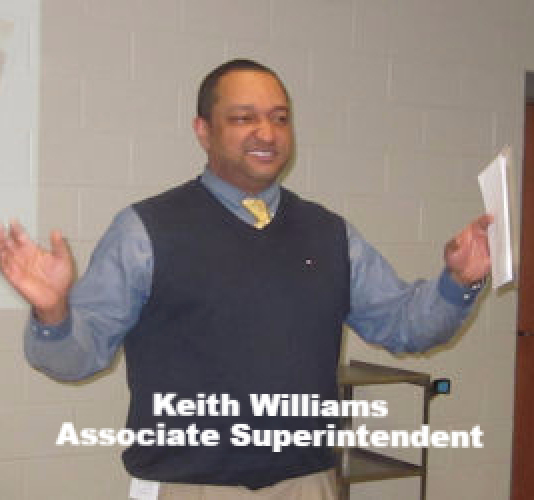 He currently serves as a member of the board of directors for the Olive Branch YMCA. 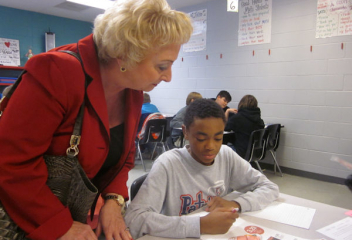 A “Celebration Tour” brought Mississippi State Superintendent of Education Carey Wright to DeSoto County Schools in December to recognize that the district earned an “A” rating. Only 14 of the state’s 142 school districts achieved this rating. 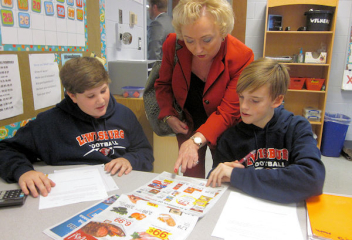 Dr. Wright visited Lewisburg Middle School, the top middle school in the state, and recognized Lewisburg High, Hernando Hills Elementary and Hernando Elementary schools for earning top academic scores. 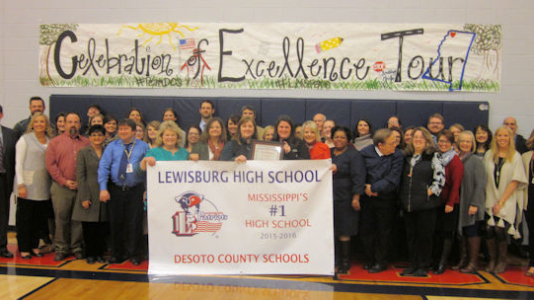 Lewisburg High was the top high school in the state in both math and language arts. 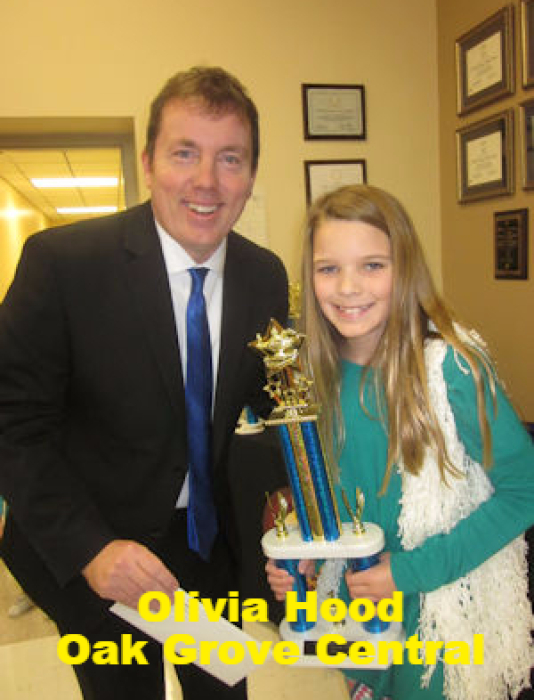 HHES and HES shared the scores for earning a top spot in the state. 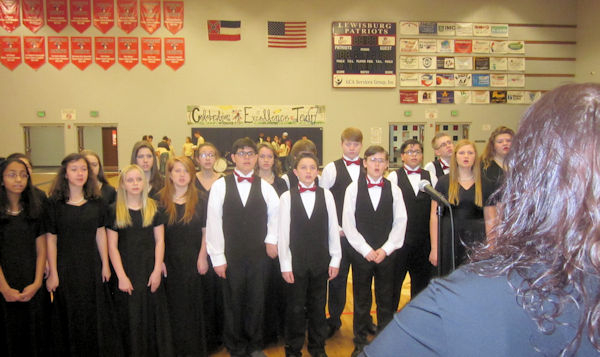 All principals were invited to the event where the 5A State Champion Lewisburg High Band played and the Lewisburg Middle School choir performed. Supt. 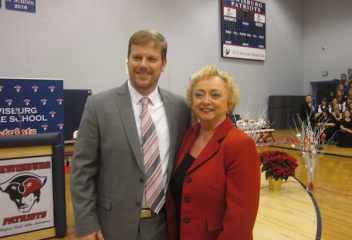 Cory Uselton and Dr. Wright spoke to the students and staff. 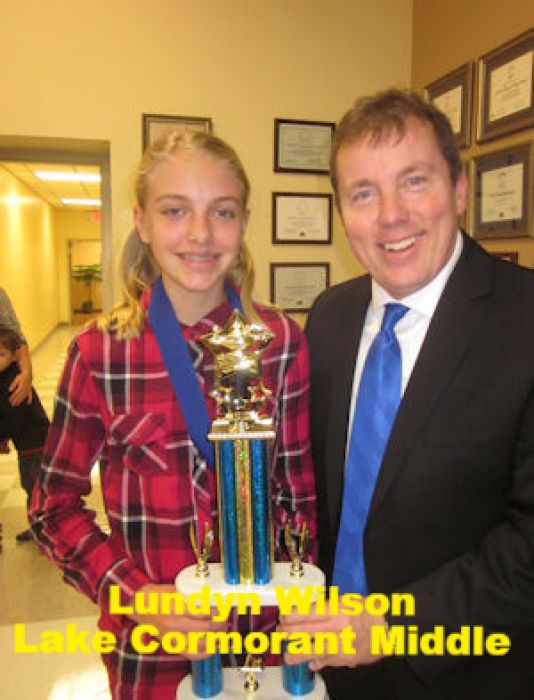 Both noted that teamwork and high expectations are essential to earn top ratings in the state. The Superintendent's Youth Leadership Council (SYLC), a program designed to help high school students develop leadership skills, was recognized by the school board at the January meeting. 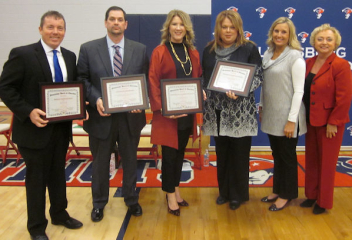 Each member was awarded a certificate by Superintendent Cory Uselton. Funded by the Delta Regional Foundation, Homer Skelton Foundation, Community Foundation of Northwest Mississippi and the Maddox Foundation, the program was started prior to the 2006-07 school year. 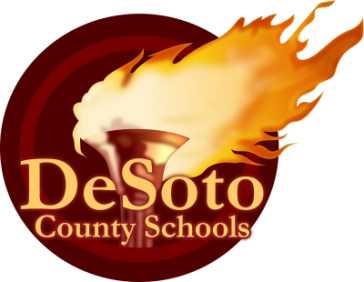 Each of the eight high schools in the DeSoto County School system has four representatives: two 11th grade representatives and two 12th grade representatives. The group studies government one year and business the following year. During the first year, students travel to meet elected officials in Jackson, MS, and Washington DC. The following year the group travels to New York City to see Wall Street and study the Financial District. Members of the youth council work to raise money for their travel expenses. A community service project is another part of the program. These students find needs in their communities and address those needs such as helping schools build their library programs. 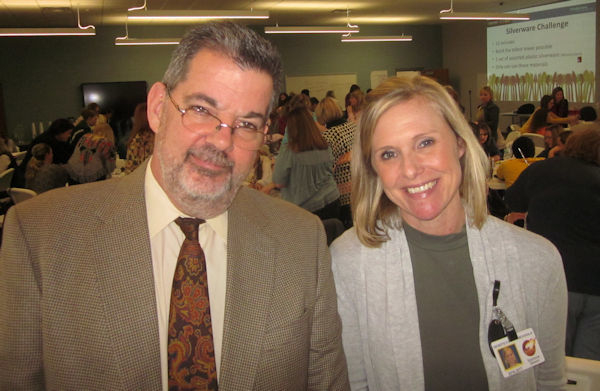 The school sponsors for SYLC are Anne Goss, a counselor at Hernando High School, and Jeff Shands, a history teacher at DeSoto Central High School. Supt. Cory Uselton welcomed students and parents to the 2017 District Reading Fair at the Board of Education. It was a room of winners. 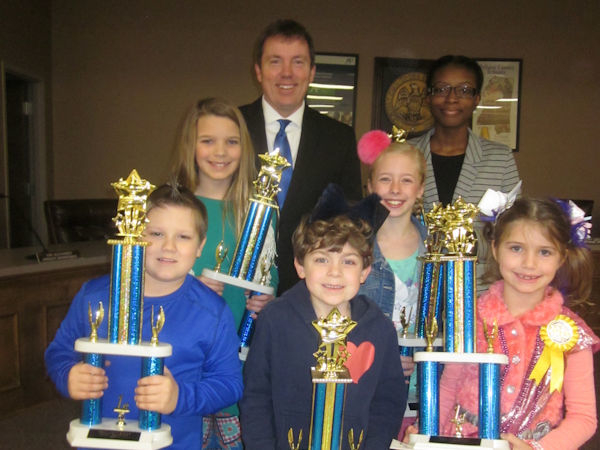 All students participating in the DCS District Reading Fair had won the first place award at their respective school, and all yearned for one of the big trophies on display. Participants received a ribbon and medal. The two-part event focused on fiction in the morning and non-fiction in the afternoon. More than 90 students ranging in age from kindergarten to middle school participated in the event. Students had to know obvious facts about their book—author, title, plot, climax, setting, characters—or any question a judge might ask. The judges for the event included librarians from public and school libraries. 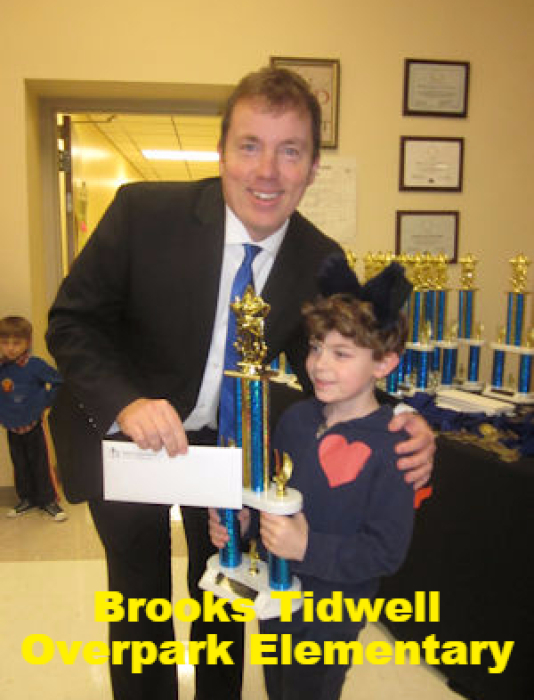 "The best part of my book was when the robot said, ‘I am INDESTRUCTIBLE,’” said Brooks Tidwell, a kindergarten student and first place winner from Overpark Elementary. “I like the word INDESTRUCTIBLE. And I liked the robot.” Since the main character of the book was Pete the Cat, Brooks donned “cat ears” and explained that Robo was Pete’s robot friend. What did it take for a kindergarten student to produce a winning entry? “I colored it and I ‘drawed’ it,” he said. One by one, judges called students to stand by their storyboard displays and share details about their projects. Some of the younger students were nervous, but as they began explaining the facts about their books, they soon calmed down and shared about the material they read, demonstrating their comprehension. Supt. Cory Uselton welcomed students and their parents at both sessions. “The goal of the reading fair is to instill a lifelong love of reading,” Supt. Uselton said to the packed boardroom. “As lifelong learners, we have to continue to learn and continue to read. 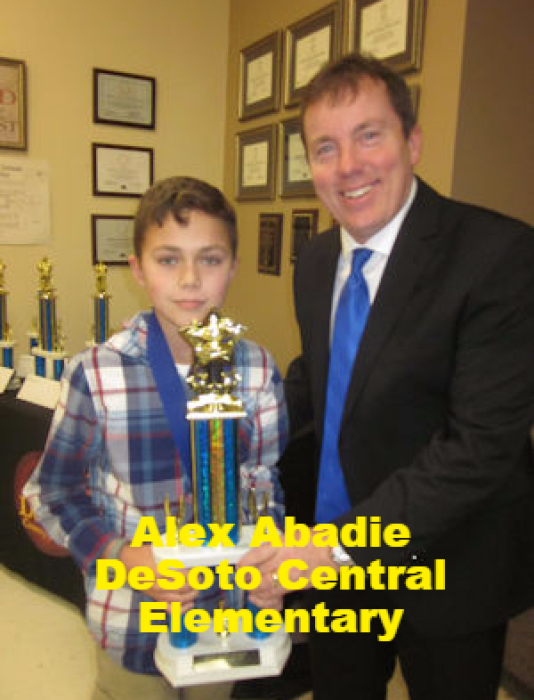 District Reading Fair winners will advance to one of the Regional Reading Fairs determined by the Mississippi Department of Education. 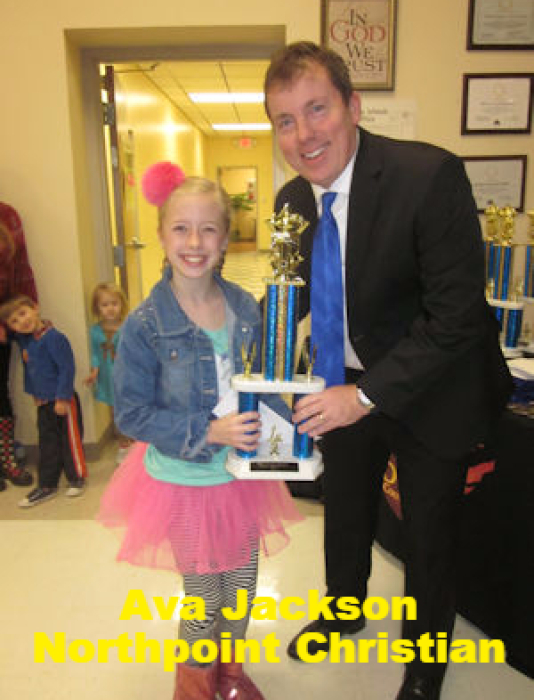 The regional winner in each category will advance to the State Reading Fair. 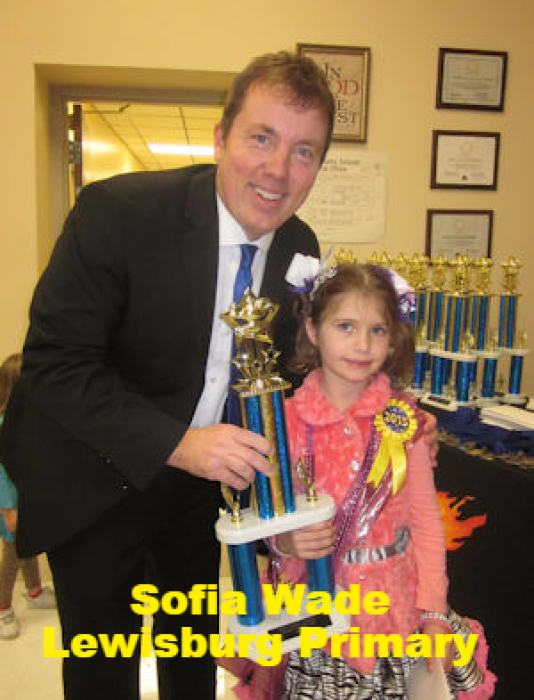 The first place winners at Reading Fair 1 were: Brooks Tidwell, Kindergarten, Overpark Elementary; Sofia Wade, 1st Grade, Lewisburg Primary; Brandyn Lane, 2nd Grade, Hope Sullivan Elementary; Ava Jackson, 3rd Grade, Northpoint Christian; Olivia Hood, 4-5th grade, Oak Grove Elementary; and Delaney Wilson, 6-8th Grade, Lake Cormorant Middle. 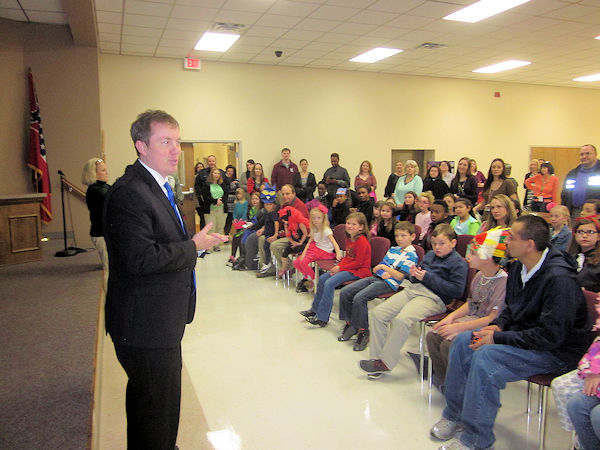 from left, first row, Brandyn Lane, Brooks Tidwell, Sofia Wade; second row: Olivia Hood, Ava Jackson; third row, DCS Superintendent Cory Uselton, and Delaney Wilson. 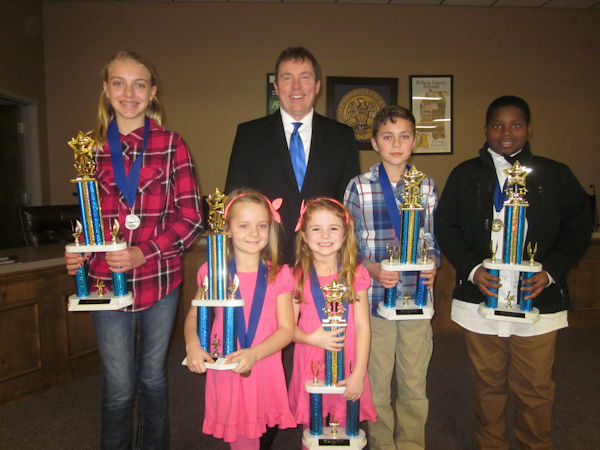 The first place winners at Reading Fair 2 were: Alex Abadie, DeSoto Central Elementary; Cora Thomas and Lucy Thomas, Lewisburg Primary; Langston Raye Harris and Darrius Mack, Southaven Intermediate; and Lundyn Wilson, Lake Cormorant Middle. When students believe they can get smarter, they are more motivated to work hard and face challenges. That is a message Olive Branch High Principal Allyson Killough is taking to students and staff at her school. The catchphrase that describes this trait is “growth mindset.” If a student has a growth mindset, learning is most important, challenges are enjoyable and failure pushes them to work harder and reach out to mentors when needed. In contrast, a fixed mindset makes a person want to pursue results (or grades), easy tasks, and avoid failure at all cost. This message rings true for athletes, band members, math students or any student facing daily challenges. That is why Killough makes guest appearances when invited by teachers in addition to her daily duties of running a large high school. “At the beginning of the year, our superintendent said our main focus should be ‘growth’ for all students. 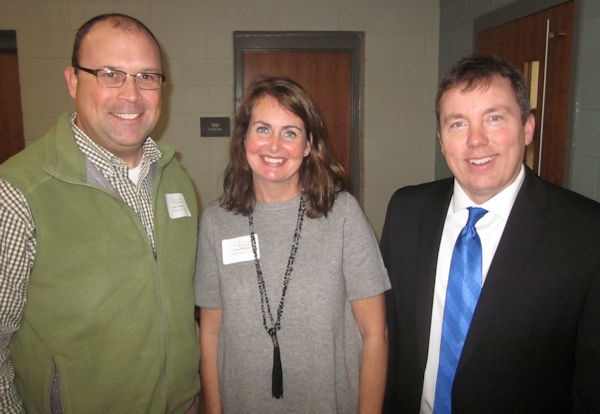 Helping students realize the importance of facing challenges and taking risks is the mental attitude of winners, and it is the way to grow intellectually,” Killough said. For many students, upper math courses are hard. Students who have always had a straight A average are overwhelmed when they don’t make perfect scores. Their first reaction is frustration, believing they cannot “get” math and turn away from learning. She gave an example of her own son’s frustration when beginning Little League baseball. When he struck out at bat, he threw the bat down and had a meltdown. She and her husband helped him focus on the process of working hard and listening to his coach, not on whether or not he may strike out. This attitude built his confidence and skills. As the season progressed, her son completed the season with the third highest batting average. 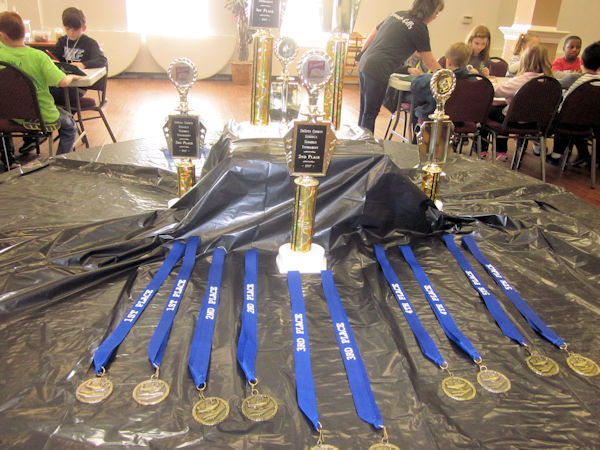 The Hernando Civic Garden Club supports literary and art contests sanctioned by the National Garden Club and encourages local students to explore their creative thoughts. 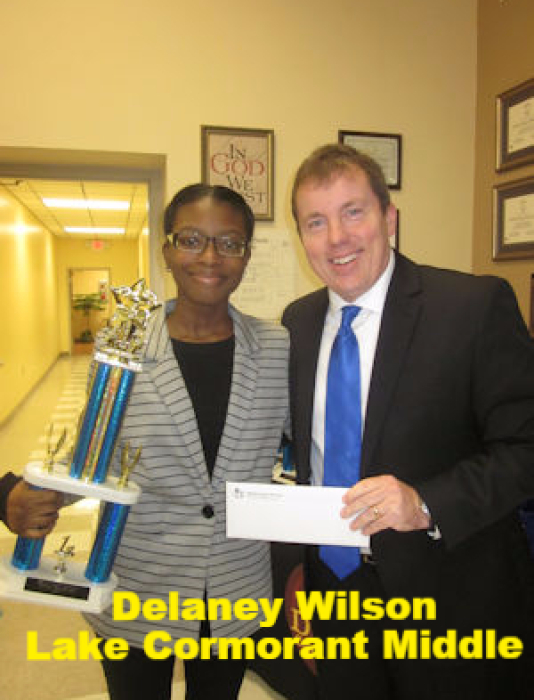 Winners from local contests are sent to state competition. These winners will compete nationally. 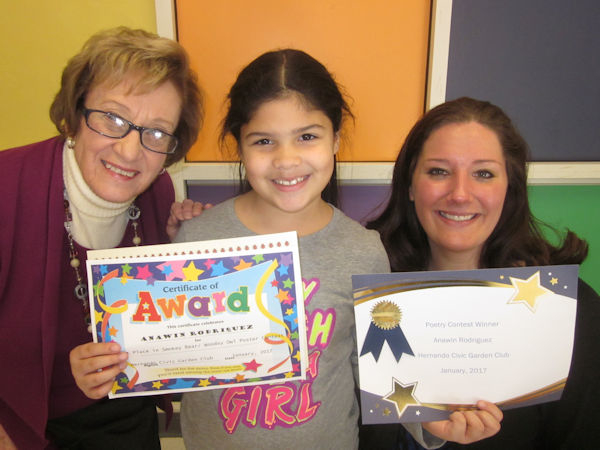 Anawin Rodriguez, a second grade student in Cason Graves’ classroom at Hernando Hills Elementary, walked away with two first place awards for a poem she wrote about bees and butterflies and for her artwork in the Smokey Bear & Woodsy Owl Poster Contest. 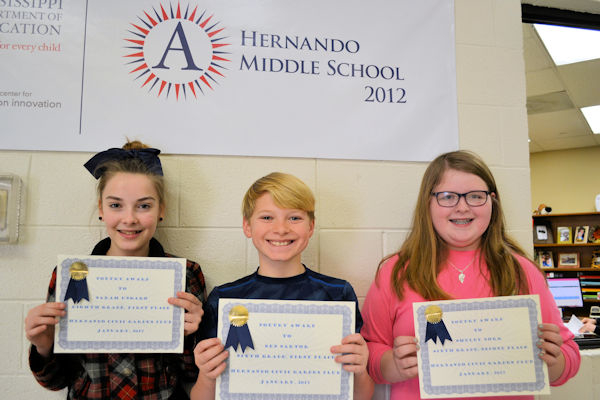 In the sixth grade at Hernando Middle, Ben Sartor won first place for a poem, Shelby Dorr won second place for a poem, while eighth grade student Sarah Ungaro won the essay contest. 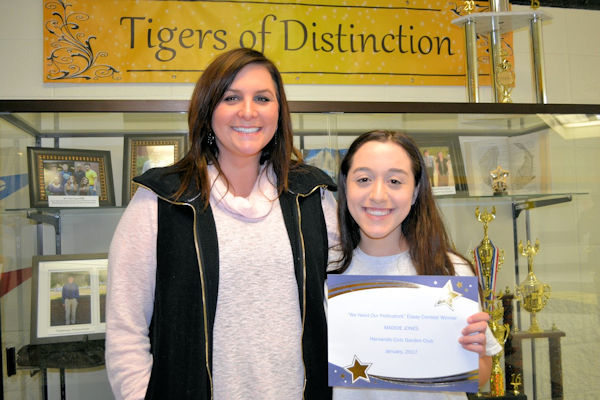 The essay contest winner at Hernando High School is Maddie Jones. She is with her Accelerated English 10 teacher, Holly Neel. 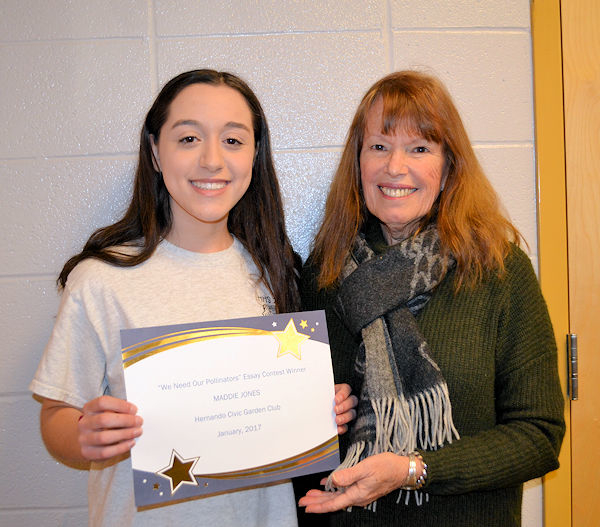 Maddie Jones, the essay contest high school winner is with Hernando Civic Garden Club President Cookie Covell. There's tension. There's competition. There's teamwork. There's even math, and yes, there's plenty of spelling. 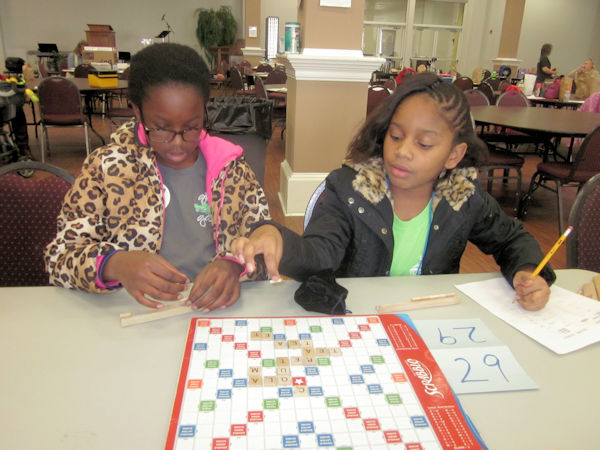 Spotlight Students Maikeia Mitchell and Makenzie Thomas created words at the DCS District Scrabble Tournament at Longview Heights Baptist Church. 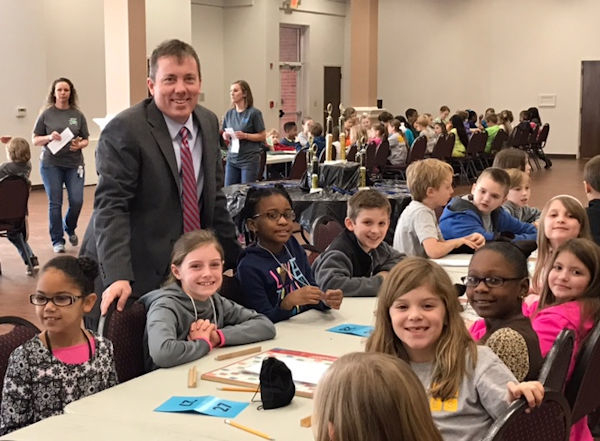 Second and third grade Spotlight students participated in the DeSoto County Schools’ District Scrabble Tournament. The two-day event was held in the activity room of Longview Heights Baptist Church in Olive Branch. Winners received trophies and medals. Some of the trophies were about the size of the participants. 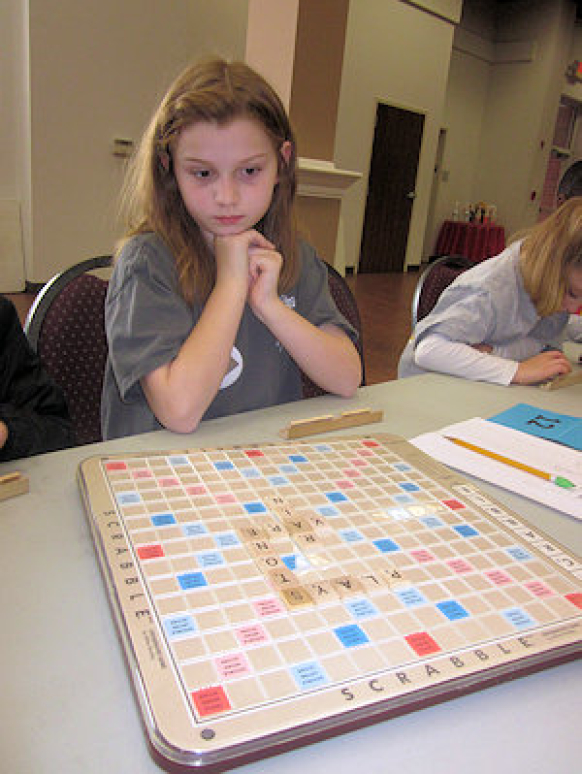 Rebecca Rohrbacher concentrates to create a word in the DeSoto County Schools' District Scrabble contest. More than 250 students participated in the event. Supt. Cory Uselton dropped by to congratulate winners and encourage participation. 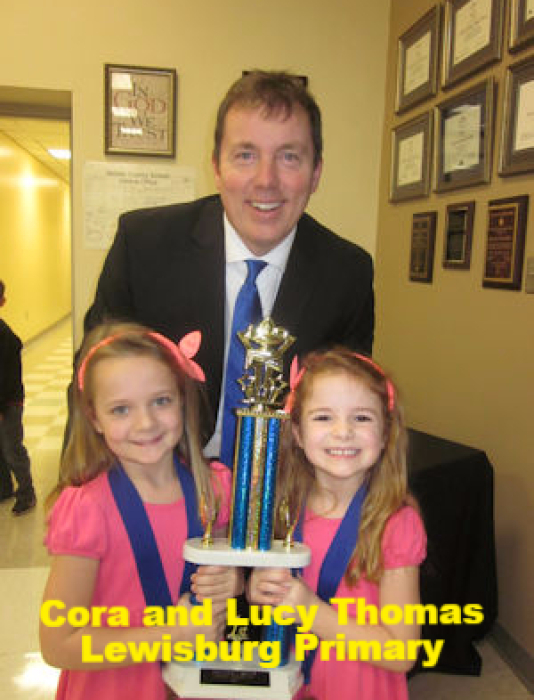 Winners for the event for second grade were: 1st place—Lake Cormorant Elementary, 2nd Place—Hope Sullivan Elementary, and 3rd Place—Walls Elementary. 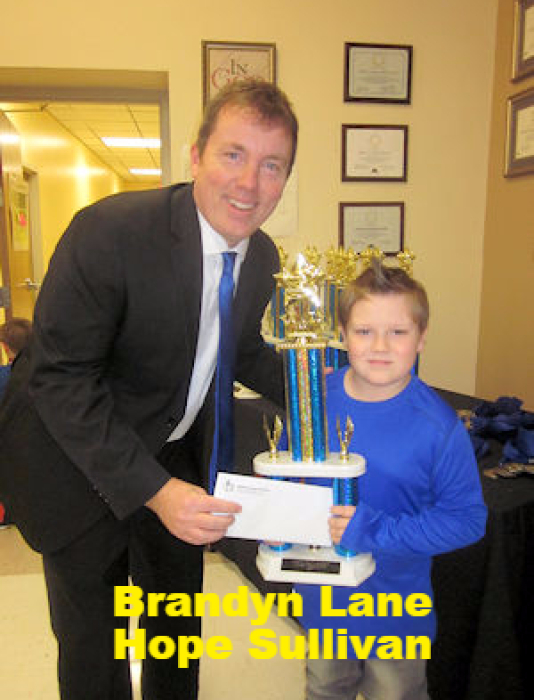 Winners for the event for third grade were: 1st place—Lake Cormorant Elementary, 2nd Place—Hernando Hills Elementary and 3rd Place—Southaven Elementary. Supt. Cory Uselton made appearances at the District Scrabble tournament to encourage participation and effort. In today’s world, communication is instant through video chat and voice call services like SKYPE. 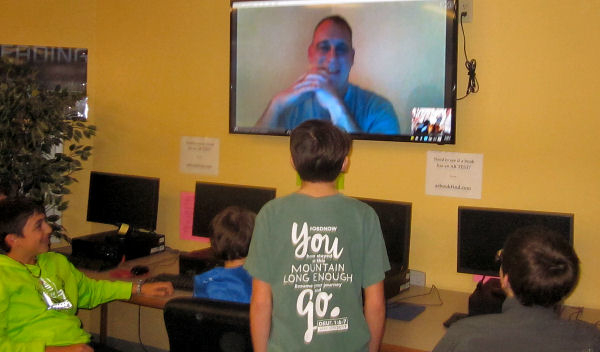 DeSoto Central Middle School students and teachers talked face to face with a video call to one of their favorite teachers, Kirk Stockett. They wanted to see how he is doing as he is in naval training in England, and they wanted to share the good news that he was named DeSoto Central Middle School’s 2016-2017 Teacher of the Year. 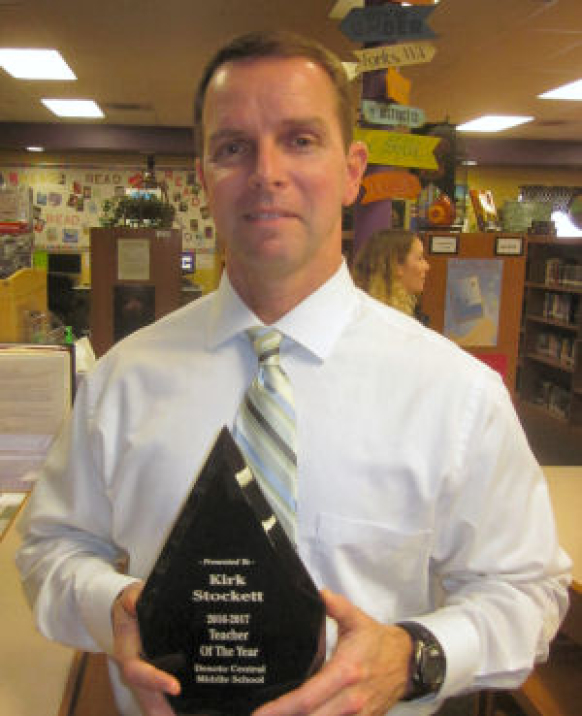 For the past eight years, Stockett has taught history at DCMS. For the next year, he is serving in the Navy as an Intelligence Officer and working at USEUCOM (United States European Command). 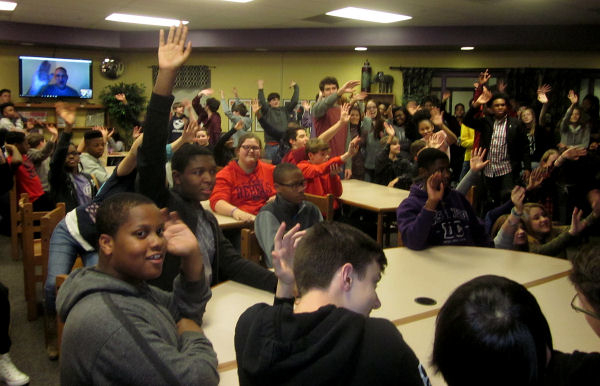 Eighth grade students crammed into the library to be a part of the surprise and discussion. It was standing room only as students raised their hands and asked Stockett about his European experiences. His ability to make students laugh is one reason he is beloved as a teacher. His unique understanding of history, his knowledge of geography, and his ability to explain real world current events, past and present, are other reasons he earns the respect of his middle school students, a daunting task for most. When his award was posted on social media, comment after comment confirmed his students' love of his class. “Over the years, I've been fortunate to get a few awards from the Navy, but none of them compare to how grateful and humbled I am of receiving this one. I would be remiss if I didn't point out that there are many, many other teachers at DCMS that are much more deserving of that award than I am. 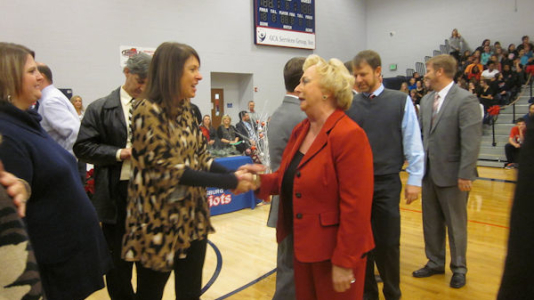 Our Administration is much too kind and generous, but I'm certainly very touched and grateful,” Stockett said.